Milwaukee School of Engineering Students Test New Elastomer Material. The adage “never stop learning” is alive and well for both the students at Milwaukee School of Engineering (MSOE) and its Additive Lab Consortium members. The school of 2,900 students, located in the heart of downtown Milwaukee has ties with 47 manufacturing companies, including Kohler, Snap-on Tools, Baxter Medical and Master Lock. The Consortium was born out of necessity 27 years ago when MSOE was faced with a 50 percent shortfall in the funds needed to get an additive lab up-and-running. The school approached industry and opened partnership talks around additive technology. Four founding partners came on board, each contributing one-eighth of the cost of the lab. In turn they were provided with non-competitive, shared access. Currently, consortium members pay yearly dues in return for lab hours and access to additive manufacturing expertise. With a focus on applications development, education and training, there’s significant value for both industry and education, says Vince Anewenter, director of the Rapid Prototyping Consortium at MSOE. “We function as that conduit of information that helps companies understand new technologies, learn to design for AM and train students in what we call ‘economic engineering,’ the process of improving something and making sure it’s financially viable,” said Anewenter. 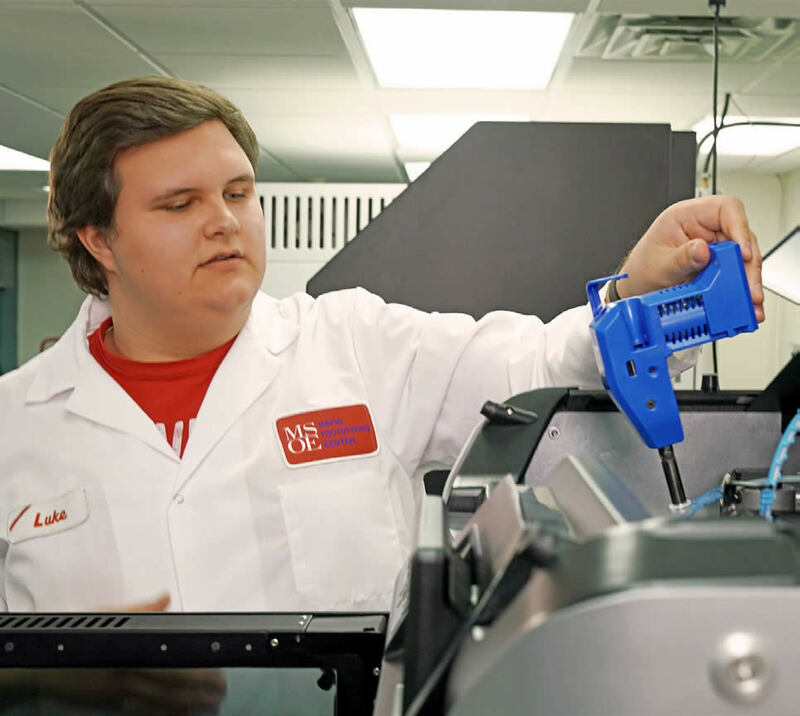 MSOE does more than simply house an additive lab; the RP Center employs students who work with industry to help businesses solve unique challenges focusing on new product development. “We walk that tightrope of being centered in an educational institution but needing to perform on industry timelines. The greatest gift we can give students is the opportunity to work on resume-worthy projects,” said Anewenter. Design for additive manufacturing (DFAM) continues to be the biggest challenge for industry, says Anewenter. “Not everything should be machined and not everything should be 3D printed. The trick is learning the ins and outs of the benefits of each process,” Anewenter says. The 3D printing lab at MSOE supports numerous additive technologies, making it a unique model for connecting industry and education. Materials are a frequent point of discussion and “there’s been lots of demand for functional rubber parts by industry, specifically tougher materials, with engineered resilience, capable of producing complex structures,” said Anewenter. The interchangeable print head enabling easy and fast change-over to elastomer printing. Milwaukee School of Engineering (MOSE) beta test the FDM TPU 92a on the Stratasys F123 for creation of their product designs. The definition of a good elasomer is it can bend, stretch and then return to it's orginal shape. The new FDM TPU 92a material from Stratasys provides those chacteristics. Elastomers are now in demand for production of medium to large sized production parts and manufacturers need Stratasys machines to build their prototypes and short production runs.